Our big 4th of July plans got canceled so now we're having a staycation in our home of New York City. So 4th of July day consisted of very little activity. It started with breakfast in bed. For me a protein shake with coconut water, goji berries, chia seeds, and spirulina. For him, eggs and toast. I settled in with both my hot water with lemon and earl grey tea while he nestled back into bed with his coffee. We lay there for awhile until eventually Branson, the dog, started to cry and we motivated ourselves. It was a hot day but a free day means a day at the dog park. It was so hot that Branson hardly wanted to play with the other dogs and spent most of the time at our feet. He eventually gets up and we try to convince him to get into the doggie pool but he refuses. I pour water on him to keep him cool and we walk home. Watching all the dogs play is actually really fun and relaxing. Then other than walking around to get some gelato we stuck inside with the air conditioning. But if you live in NYC and have never been to Il labortorio de gelato, you mustttttt try it. More favors than you could even dream up. 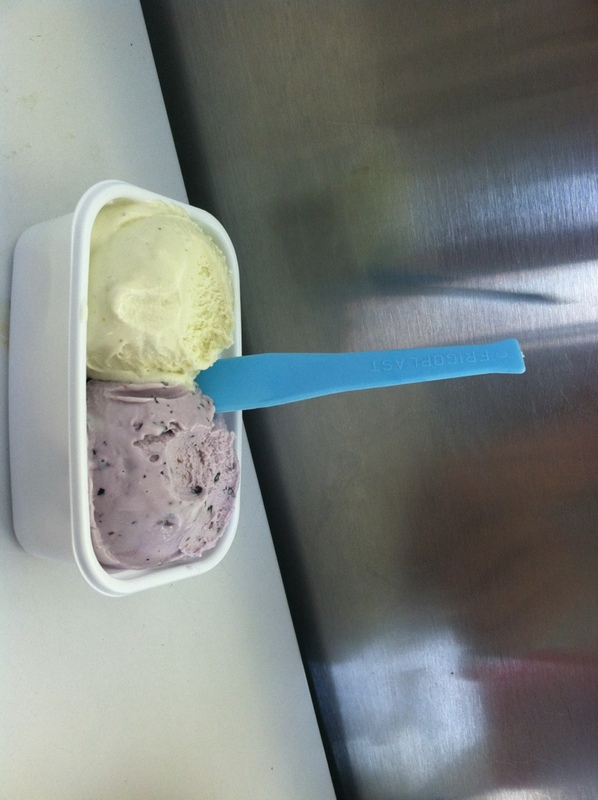 I went with the Honey Lavender and Blueberry combo! Finally, a few of our college guy friends came over and we cooked up some kale, fish, shrimp, and rice. I serve a cocktail of seltzer, mint, limoncello and sliced lemon. We went over to The Top of The Standard where we sipped cocktails while watching fireworks with great conversation! I wore a romper from Zara.